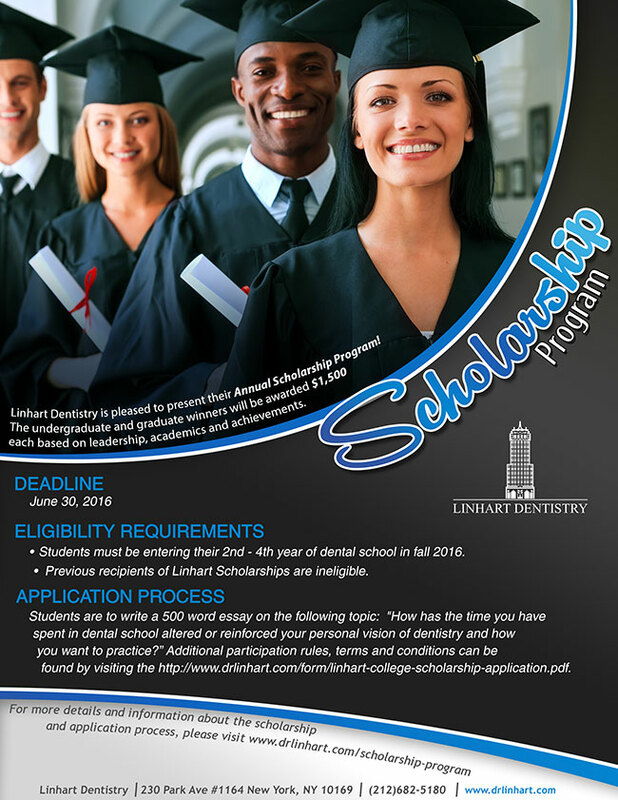 Linhart Dentistry’s Scholarship Program is now open to receive applications. The $1,500 scholarship is for the 2016-2017 academic year and is limited to those in their 2nd – 4th year of dental school. The scholarship program here at Linhart Dentistry is competitive and will be based upon leadership, academics and achievements. Applications are due by June 30th, 2016 and recipients will be notified no later than July 30th, 2016. We encourage you to be thoughtful in your essay question response as it will be an important part of the review process.